With the U.S. Digital Service, I worked at FEMA, supporting their vision to unify 40 grants programs and 10 legacy system into one new platform. This project was huge, and we quickly learned that it needed to be tackled in pieces. At the same time, we needed to focus on building the capabilities of the team, so that they could carry out this work. Our hypothesis was simple - a strong design process will help us build an efficient grants system that FEMA can use to improve resource distribution, making us more prepared for disasters. Design a product for flexible grants administration. The review screen helps FEMA employees review grant applications more efficiently. Served as design lead overseeing multiple cross-functional teams of developers, business analysts, and designers. User research: we spent time on both sides of the application process. Primarily, we worked with firefighters requesting grants from FEMA. We also worked with the government stakeholders who evaluate those forms. Analysis: we synthesized the research into themes, developing personas, journey maps, and other design artifacts. Facilitated prototyping: we worked with stakeholders to co-design solutions. Usability testing: we went back to see what worked and what didn’t. Our most common request was to bump up the font size. Implementation: cross functional teams built out the interface. 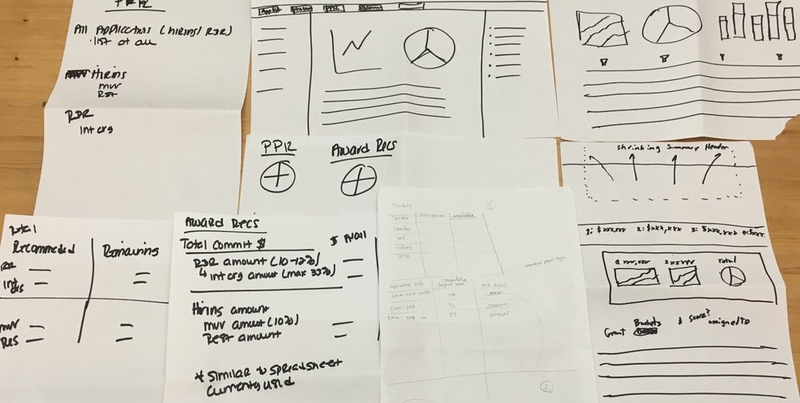 With these insights, we redesigned a very paper intensive process to a simple, digital interface. Users are free to navigate and score the application as they see fit - the interface is not prescriptive or restrictive. This flexible interface allowed users to review applications as they see fit. When they need help, reviewers walk up to each other or sent messages to ask questions. Rather than changing that behavior, we decided to incorporate a simple bookmark to serve as a reminder to come back later. 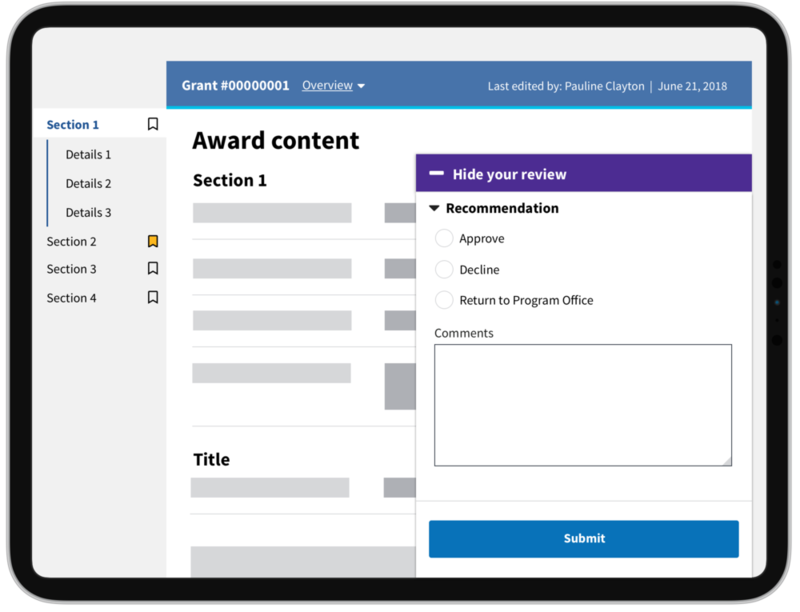 Between reviews, users can view a dashboard to see their progress and what the grant money they approve will be used for. 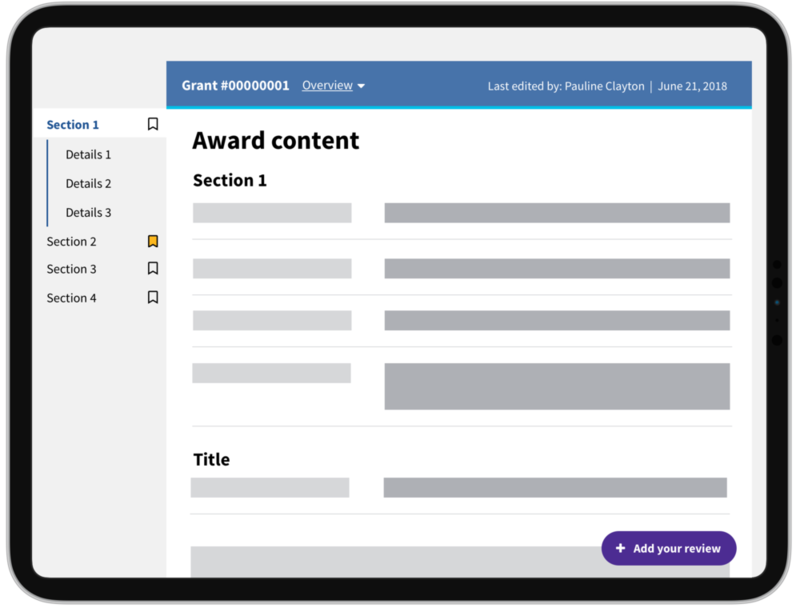 It’s a simple way to help reviewers connect to the mission and stay motivated. The dashboard can show the progress of an individual or the whole program. 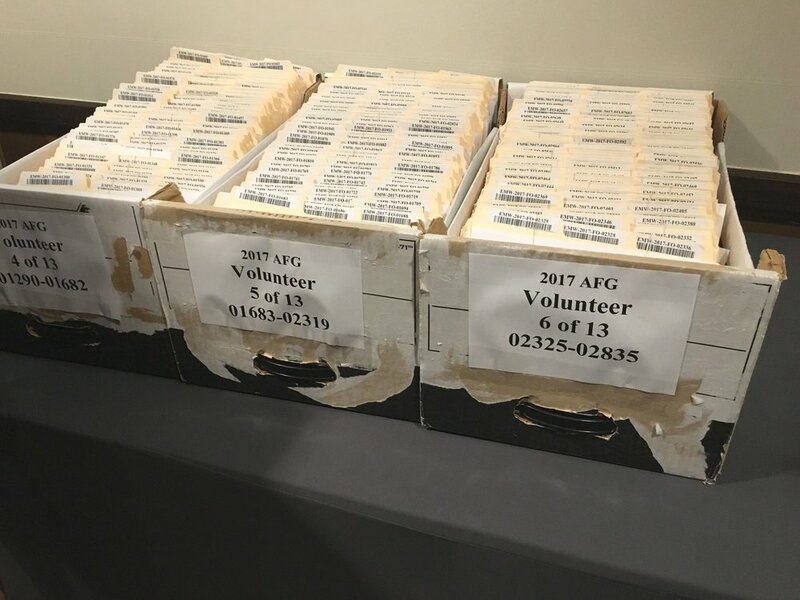 Whoever decided to take the initiative to redo these forms, good job. You guys are doing one heck of a good job with the user experience. Also, keep in mind that firemen are doing these. Keep it firefighter simple and follow the 3 a.m. rule - the dumbest guy at 3 a.m. should be able to do this just as well as the smartest guy at 3 p.m. It looks really good.